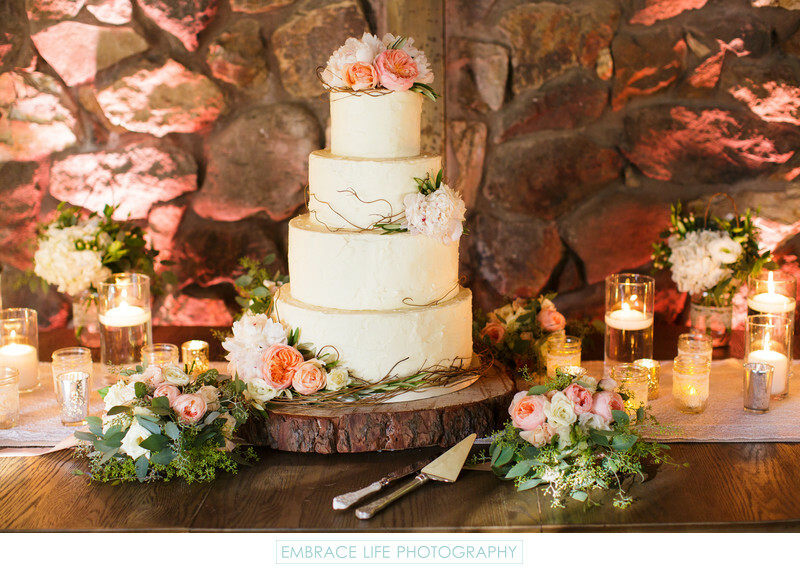 Calamigos Ranch wedding receptions in Malibu, California provide a rustic, yet elegant experience as is demonstrated in this detail photograph of a beautiful, four-tiered buttercream wedding cake on a tree trunk cross-section riser. The cake and table are appointed with lovely natural flower arrangements. A burlap and lace table runner is topped with the warm glow of floating candles in glass vases, mason jars and mercury glass, while the stone wall behind it is lit with a pink accent.